Ankita will be starring alongside Kangana Ranaut in movie Manikarnika: The Queen of Jhansi. 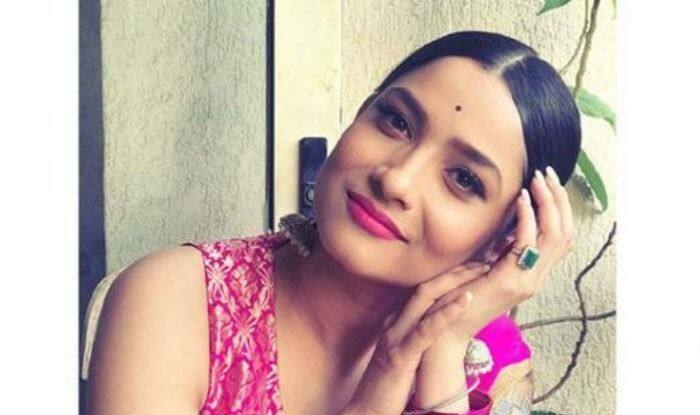 Actress Ankita Lokhande has been in the spotlight recently as she will be making her Bollywood debut alongside actress Kangana Ranaut in movie Manikarnika: The Queen of Jhansi. But that is not the only thing that has got rumour mills churning, as there have been a good number of speculations about her love life and impending marriage to beau Vicky Jain. Earlier, there were reports that Ankita is set to tie knot with Vicky this year, but now she has in an interview with Bombay Times clarified that she is in love, but as of now she is concentrating on her work. “If it happens, I will let you know and invite you for the wedding. I can’t say anything right now, but there are no such plans yet. I am just focusing on work at the moment,” she was quoted as saying. Ankita went on to speak about Vicky and what her idea of love, relationship and marriage is. “He is a very nice guy. He is a businessman from Bilaspur. Yes, I am in love and you will get to know about it when the time is right,” she said. “Love is really important for me, because I believe in it. Relationships are very important, because that’s the bond you share with someone and that’s how love grows between people. Marriage has always been my dream. I have always wanted to get married. But at this point, my priorities have changed. I am really looking forward to more films,” she added. Both her personal and professional life looks to be in a happy space post her 2016 break up with longtime boyfriend Sushant Singh Rajput. While Sushant was reportedly seeing Raabta co-star Kriti Sanon, Ankita kept a clean chit until this year in January when it was said that the actress has finally found her soulmate in Mumbai-based businessman Vicky.